New. Alvar Aalto remains Finland's greatest architect, retains his place among the Modern Masters of twentieth-century architecture and is now recognized internationally as one of the world's greatest architects of all time. 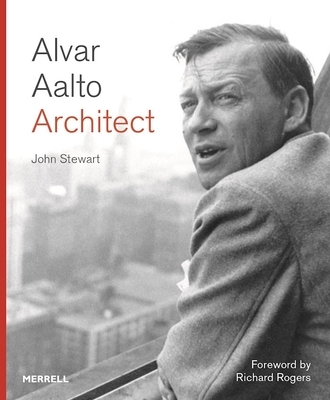 This is the first, frank and fully-comprehensive biography of Alvar Aalto. Num Pages: 272 pages, 110 illustrations in black-and-white; 20 illustrations in colour. BIC Classification: 1DNF; 3JJ; AMB; BGF. Category: (G) General (US: Trade). Dimension: 255 x 215...2017. Hardcover.....We ship daily from our Bookshop. New. Sewn binding. Cloth over boards. 272 p.
New. Sewn binding. Cloth over boards. 272 p. In Stock. 100% Money Back Guarantee. Brand New, Perfect Condition, allow 4-14 business days for standard shipping. To Alaska, Hawaii, U.S. protectorate, P.O. box, and APO/FPO addresses allow 4-28 business days for Standard shipping. No expedited shipping. All orders placed with expedited shipping will be cancelled. Over 3, 000, 000 happy customers.